he phrase branded content has been tossed around in recent years with many people scratching their heads as to what it is. Branded content uses the elements of storytelling to integrate a company’s message into a marketing campaign. It seems simple, but this effective technique can reach your audience’s hearts in a way even the most well-crafted ad never could. Here’s everything you need to know about branded content — including branded content examples and how to use it for your own brands! There’s still much confusion about what the definition of branded content is and how it differs from conventional advertising. Branded content is sometimes called branded entertainment. It presents itself as something more than a marketing tactic. In essence, branded content embraces people stories over product stories. Traditional brand advertising is about finding a USP (Unique Selling Proposition) through a product’s story. They then devise a creative way to connect that with the consumer. Branded content operates in the reverse. Rather than opening with the product’s story, the content opens with the individual’s story. The content will be focused on a particular narrative, with product placement seamlessly weaved throughout the storyline. This strategy allows brands to connect with the emotions of their audience. Customers resent the logo-slapping approach. So the challenge for this type of brand advertising is finding the middle ground between entertainment and promotion. Ultimately, branded entertainment allows companies to connect with their audience in a unique way. A company producing content to engage with a consumer to sell more is nothing new. As radio’s popularity rose throughout the 1930’s, companies began utilizing the medium for product placement. This strategy transitioned into television with programs such as the Camel News Caravan, One of the first branded content examples within a visual medium. However, the term branded content didn’t take hold as a labeled marketing technique until 2001 with the introduction of the series The Hire. ​​​​Produced by BMW, the eight-part series starred Clive Owen as the mysterious “Driver”. A different international filmmaker directed each episode. The episodes each revolved around a narrative. But the true objective was to highlight the performance capabilities of various BMW vehicles. With the success of these films, other brands soon launched into their own elevated product placement campaigns. Sometimes the phrase “Content Marketing” is thrown around when describing branded content. However, there is a clear distinction between the two. Content marketing tends to be more informative and focuses on the product or services being pitched. The ROI (Return On Investment) for content marketing is about lead generation and sales. Branded content is about enhancing the image of the brand. With branded content, the needs of the audience are always the priority. Companies want to increase loyalty amongst their audience. In branded entertainment, people stories come first, and the product placement second. Another phrase that one hears when discussing branded content is native advertising. Native advertising is a form of advertising that mimics the structure and function of the platform hosting it. You usually find it online. Often, native advertising appears as an article or video. But the intention is to promote the product. The word “native” refers to this integration of the content with the other media surrounding it. There is a stark difference between branded content and native advertising. Branded content seeks to create an immersive experience for the audience. Because of the compelling story, the consumer will align themselves with the brand. Native advertising is a paid-marketing tactic. In it, advertisers promote their content within an editorial feed. These days companies often use branded entertainment and native advertising in tandem. With a comprehensive knowledge of these brand advertising tools, companies can cut through the noise of the internet. Ultimately, companies want to use branded content and native advertising as a way of getting the consumer more invested in the brand. Because of the storytelling component, emotions are key to the branded content strategy. People often rely on emotions, rather than information, to make purchase decisions. Check the psychology studies if you don't believe us. The company's goal is to find creative ways of linking emotions to products. Often these are the same tools that filmmakers use, such as color. You can read about how color influences emotion in our free ebook. 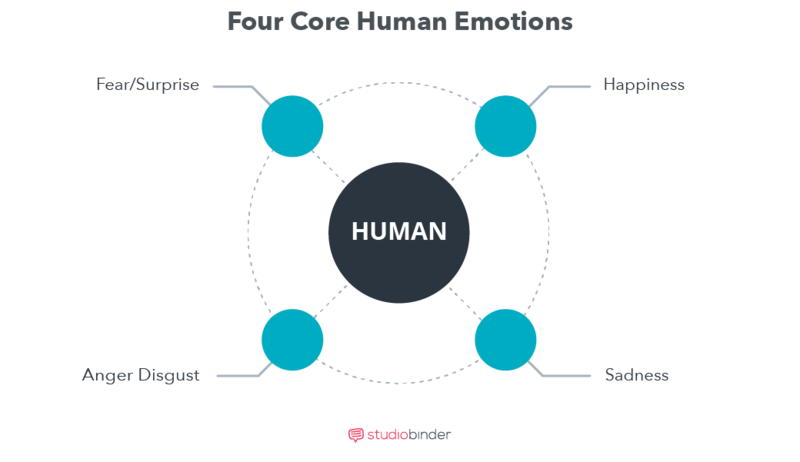 There are four core human emotions used to drive brand advertising. Let's look at some branded content examples. It’s no surprise that brands want to be associated with happy consumers. Take Android’s Friends Furever ad, which shows clips of unlikely friendships throughout the animal kingdom. It's been shared over 6.4 million times, making it the most shared ad in history. Happiness is a core emotion of the branded entertainment strategy. Feelings of positivity have long influenced the advertising world. Happiness shows no signs of slowing down. Brands understand the power of a good tear-jerker. In recent times have focused on creating content that is moving and inspirational. In this branded content example, Proctor and Gamble promote the lasting influence of mothers on their children for the 2016 Rio Games. A good tear-jerker is the definition of branded entertainment. If horror movies and theme parks are any sign, people like to be scared. Fear prompts an individual to take action, and brands fully recognize this. Companies know that the most harrowing or shocking images are the ones that stick with an individual. Fear is another popular branded entertainment tactic. Like fear, anger tends to energize people into action. When someone is being persecuted or mistreated, the natural reaction is to defend or rush to the individual’s aide. Brands understand this concept very well. Always’ #Like a Girl campaign creates a call to action against injustice and stereotypes. In Branded Entertainment, anger motivates one to take action. The question arises. What are the benefits of implementing a branded content campaign? Of course, product placement is the top priority in advertising. But why go the branded content route as opposed to a traditional marketing method? Here are some ways that focusing on narrative engages more with the consumer. These days, it’s important for companies to move beyond traditional advertising. Incorporating a fully developed narrative can help strengthen the awareness of the brand. Branded content is inherently a storytelling device. The opportunity to focus the core message of the brand in an engaging manner further influences the audience. The digital age has created micro-celebrities who have millions of online fans. Branded content campaigns typically launch online. The company has the opportunity to connect with these influencers. They can even tap into their large network of followers. It goes without saying that these influencers require content to share with their audience. By connecting with these influencers, the brand advertising reach can grow significantly. When an audience connects with a brand on an emotional level, it spurs them into action. It invites them to develop a deeper relationship with the material. That’s the goal and definition of branded entertainment. Branded content connects with people through storytelling. So branded content is ideal for forming deeper emotional relationships. The emotions brought forth spur a consumer into action, and ultimately helps to build lasting brand strength. Creating branded content for an advertising campaign may seem straightforward. But it can be more difficult than it appears. Having a solid strategy in place will significantly increase the success of the campaign. Here are some aspects to keep in mind when implementing branded content as part of your product placement goals. Marketing campaigns should begin with clear goals. Who do we want to reach, and what kind of ROI are we looking to achieve? The goal is to increase sales and strengthen brand awareness. Strategizing how best to build a campaign is essential. Every step that follows in the campaign process is dependent upon this moment. This is where the company must ask themselves the all-important question. What do we want to achieve? After you've determined the goals of the campaign, it’s time to develop the brand’s story concept. Typically the branded entertainment agency will bounce rough ideas off one another. Like a brainstorming session in a television writer's room. It’s expected that an ideal story arc for the content will take time to develop. It’s a good idea to try different elements to see what resonates most with the audience. Once you've found that special something, then it's time to capitalize on the concept. 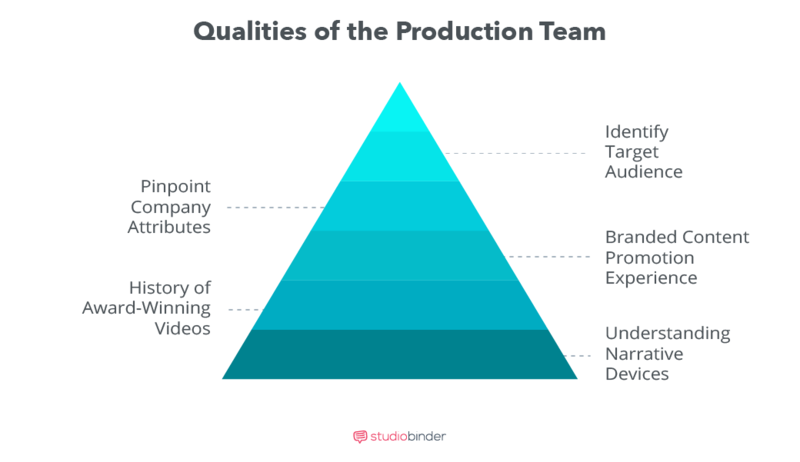 Let’s face it, cutting corners during the production phase can hinder a product’s launch. It’s important to make an investment in the campaign. To ensure that the reach of the content will have the greatest impact. An understanding of narrative devices such as plot and character development. A history of award-winning videos. Experience in the conception and promotion of branded content. Ability to pinpoint the essential attributes of the company and its audience. Identifying the target audience and how to approach product placement. Once you've produced the content, it is time to distribute it. Make sure these foundations of the production process are in place. You'll increase the potential of the branded content campaign. If the definition of branded content is still confusing, then look no further than the Branded Content Marketing Association. The BCMA is a great resource for understanding branded content. Caption: The agency makes clear the definition of branded content. The BCMA is an organization founded and run by advertising professionals. They hope to showcase the strength and success of branded content campaigns through. The organization hosts events and workshops. Conducts interviews with top executives. And in general, strives to connect professionals with leading experts in the branded content field. Most importantly, the BCMA offers a service called Content Monitor. Content Monitor is an online tool which provides in-depth research on branded content projects. It also offers helpful case studies to guide a campaign. Researches how your branded content campaign is performing against key brand metrics. This helps you determine the ROI. Indicates elements of the campaign are performing the strongest. Whether you're starting out or an old hand, the BCMA is an important organization to learn about the evolving definition of branded entertainment. With all the resources and creativity being poured into branded content, the question becomes is it successful? According to recent research by IPG Media Labs and Forbes Magazine, it is. 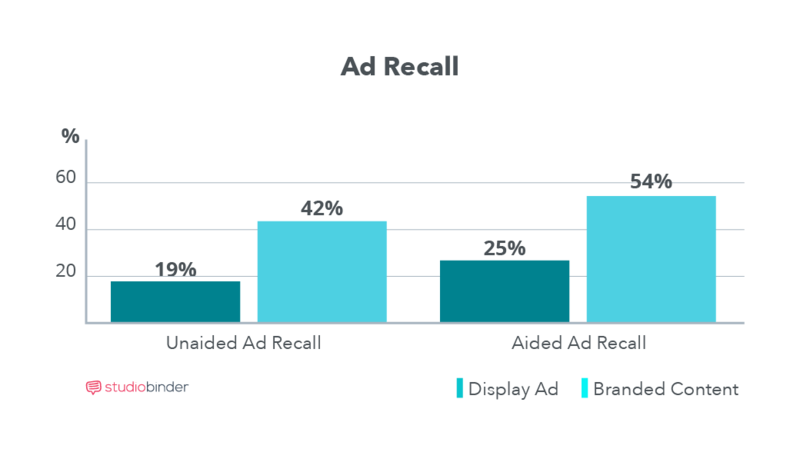 In the study, branded content was more effective at driving recall compared with display ads. Recall rate was 59% higher, and consumers were 14% more likely to seek out information about the brand in the future. The research also found that branded content was 2X more memorable than display ads. It can difficult to determine the ROI for branded content. But these numbers are encouraging for the industry. Stories are at the heart of humanity. They provide us both entertainment and education. This aspect has become integral to the definition of branded content. As a result, the tactic has been able to engage with consumers on a more lasting and meaningful level. Still Curious? Improve consumer relations by learning how to spark client feedback that’ll improve your video, or learn how to make a killer explainer video to work alongside your branded content! That is really cool that the BCMA is a great resource for understanding branded content. That is definitely something that I would want to understand if I were in business. Branded content sounds like something that a business could really benefit from.